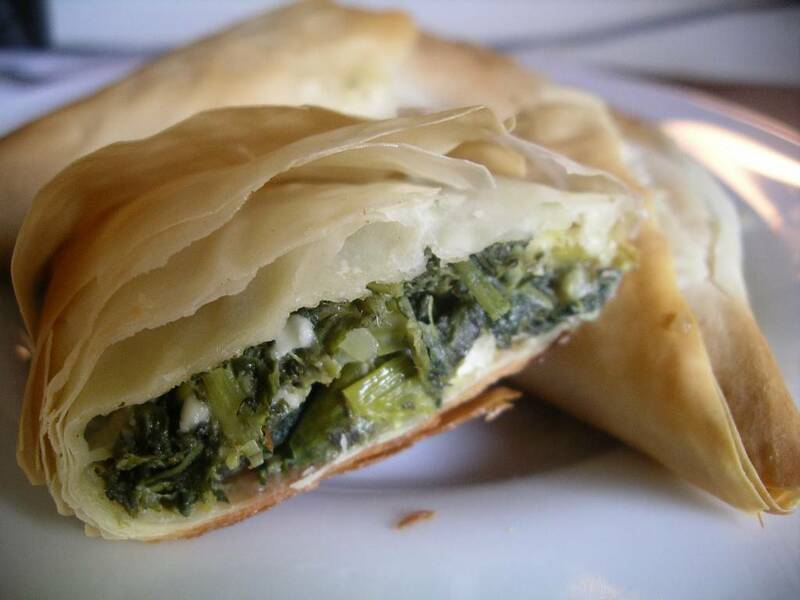 A springtime favourite, Spanakopita made with wild nettles instead of spinach = Nettlekopita. I’m sure the Greeks would have a different name for it, but I’m attached to my made-up name, using it as I have for at least a dozen years. I usually forage for wild nettles around Easter-time, along with my brother-in-law, known around here as Uncle Sal (but elsewhere as Sweet Rock Farmer). 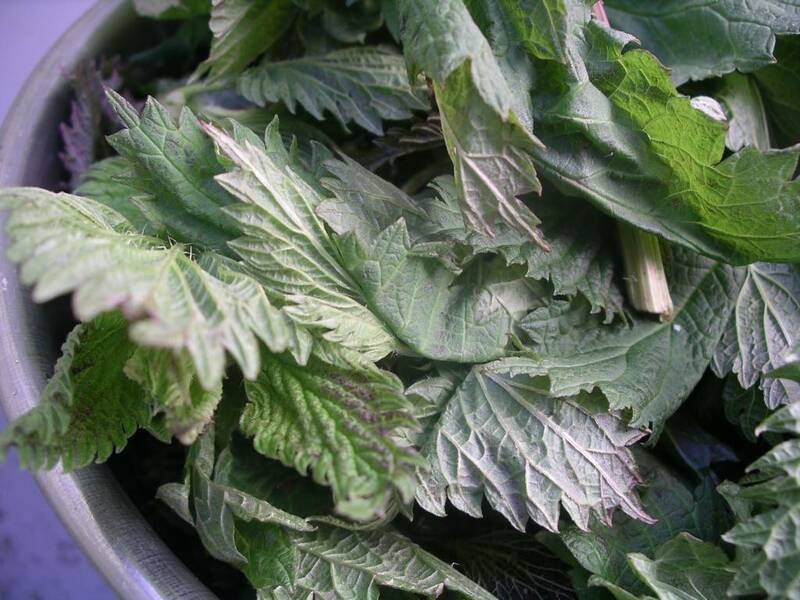 However, this year, perhaps on account of Easter coming late, or maybe because I needed nettles sooner than usual, I bought some local wild nettles at my favourite little neighbourhood grocery store, Niagara Grocery. It felt the teeniest bit sacrilegious to be buying wild nettles, but, after all, my nettlekopita tasted the same as usual. And that is: Divine. 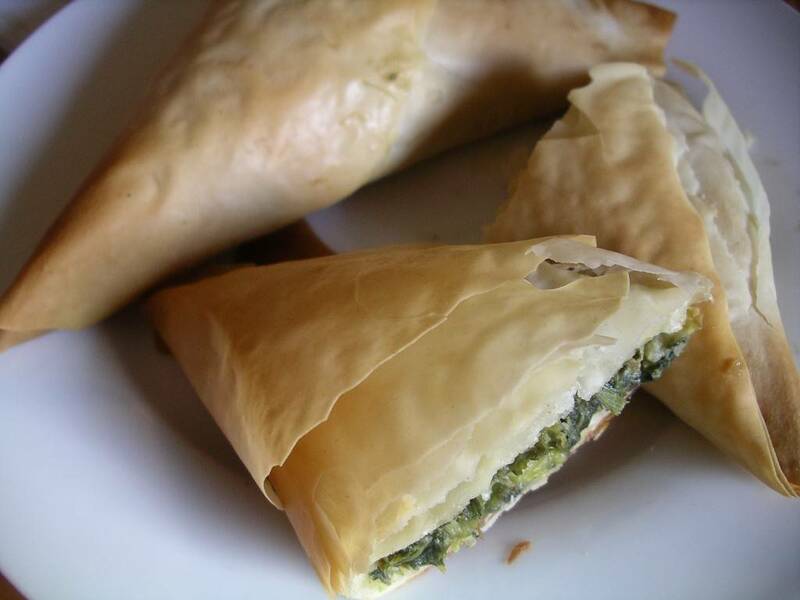 Nettlekopita is the greenest essence of spring, mingling with sweet leeks and salty cheese, and a buttery toasty pastry crunch with every bite. Mmmmmmm. In years past, I have used 400-500 grams of cottage cheese instead of the 250 grams of sheep feta called for here. I still prefer the milder, creamier flavour of the cottage cheese in this recipe, but I have made adjustments to suit the needs of my younger son, who is lactose-intolerant. 1. Get out your largest pot. Put a couple of inches of water in the bottom and bring to a boil. Being very careful not to touch the nettles (or using rubber gloves, in case you think you might), dump all of the nettles into the pot. 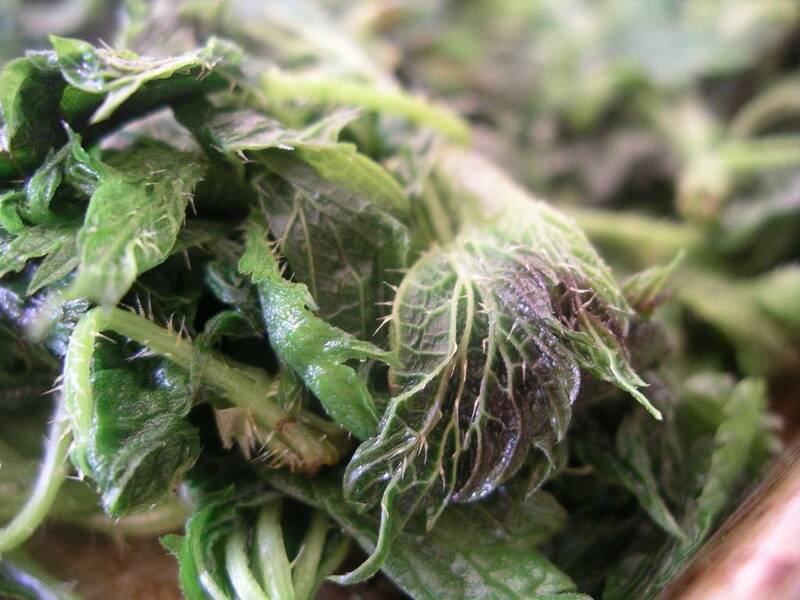 Cover and let the nettles steam for 3 to 7 minutes, until wilted and tender. It is helpful to stir the nettles around with tongs from time to time. Use tongs to remove the nettles from the pot and place on a tray to cool. 2. Repeat process with the spinach, minus the rubber gloves and extreme care. Also, spinach will only take a minute to wilt. 3. 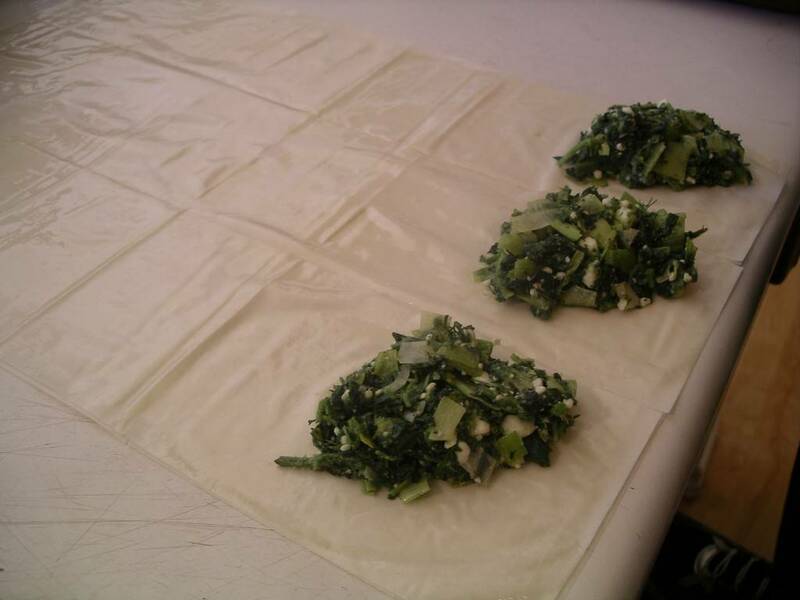 Cut leeks in half lengthwise, but leave the root intact. Run the leeks under cool running water to remove any dirt trapped between the leaves. Shake dry. Slice the white and light green parts of the leeks crosswise. You shoul have 4 cups of sliced leeks, so keep rinsing and slicing until you have enough. 4. Get out a large saute pan and heat it up over medium heat. Add the 1/4 cup butter and let melt. Add the prepared leeks and saute for several minutes, stirring frequently, until the leeks are soft and sweet (but not browned). Add the thyme and oregano and saute until fragrant, about 1 minute. Scrape this into a large bowl and let cool. 5. 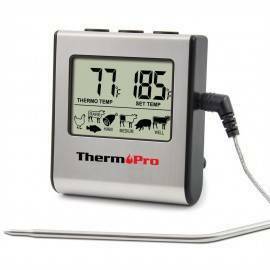 The nettles should be cool by now. Pick through and remove any large stems – these tend to be tough. 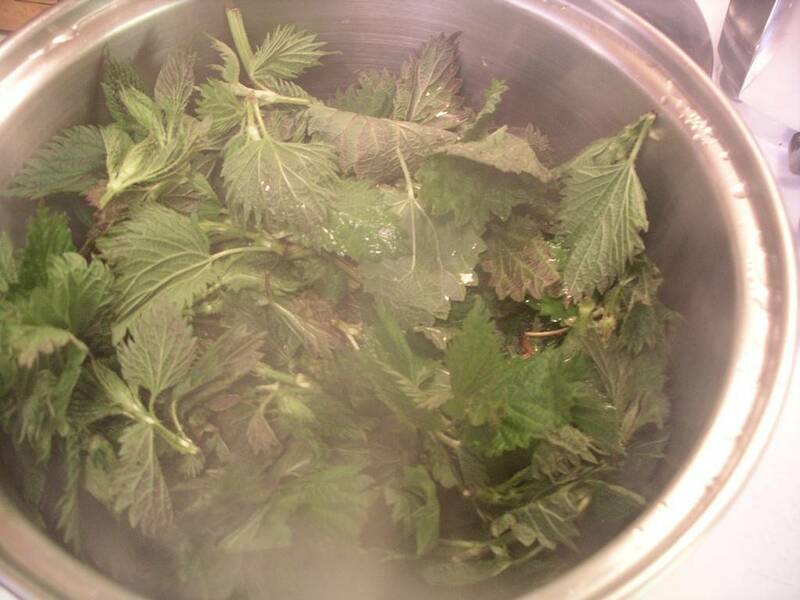 Then, use your hands to squeeze the nettles, handful by handful, until you have removed as much excess water as you can. 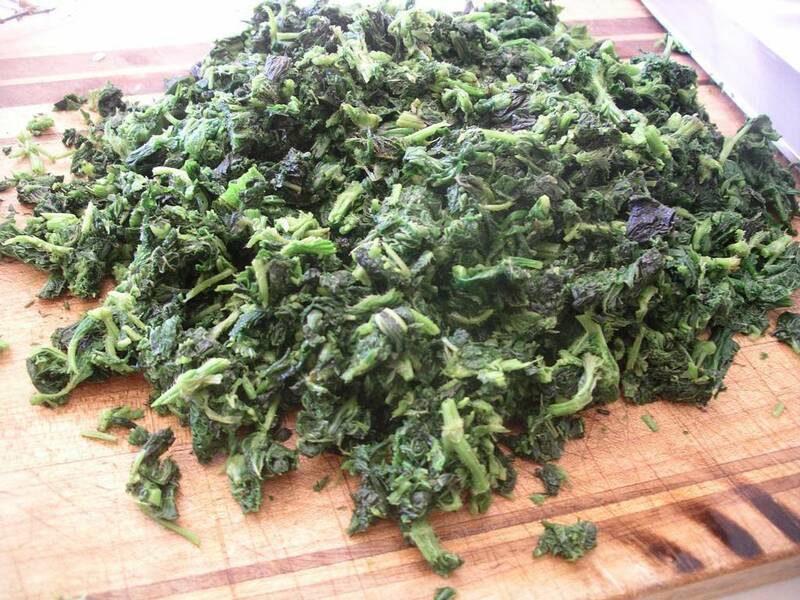 As you finish squeezing each handful, place it on a cutting board, until you have a tray full of dark green water and a cutting board full of squeezed nettles, looking a bit like frozen spinach (except way better). Discard the water. Repeat with spinach, if using. 6. Chop prepared nettles and spinach finely (this takes some doing) and scrape into the bowl with the leeks. Add the salt, pepper, and dill. 7. 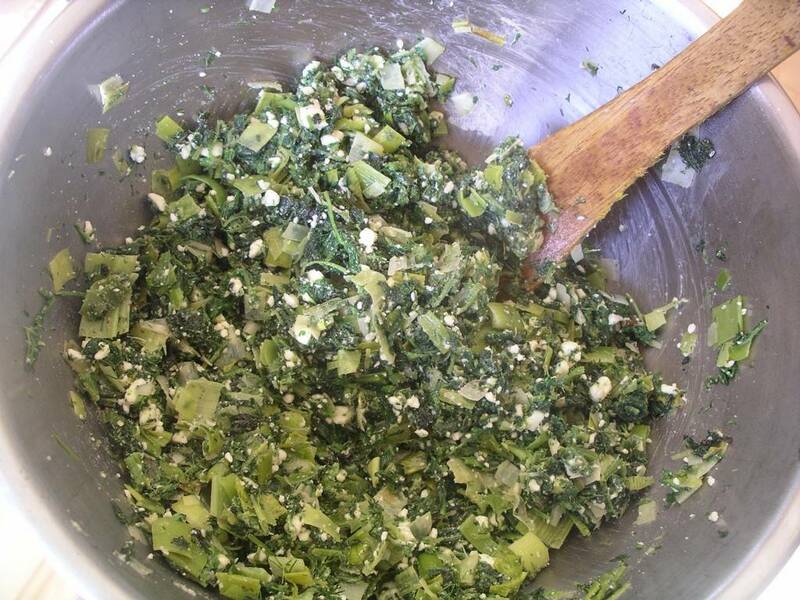 Crumble the feta cheese into very small pieces and add to the bowl with the nettles and leeks. 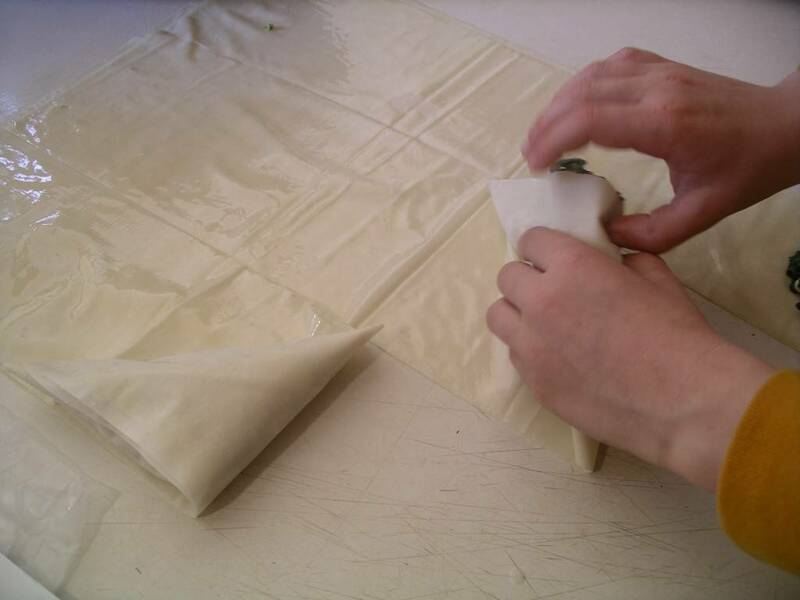 Mix well with your hands until the filling is evenly mixed. Taste for salt and add more if you think it needs it. 8. Crack the eggs into a small bowl and beat them until evenly coloured. Add the eggs to the filling and mix well with a wooden spoon until evenly mixed. 12. 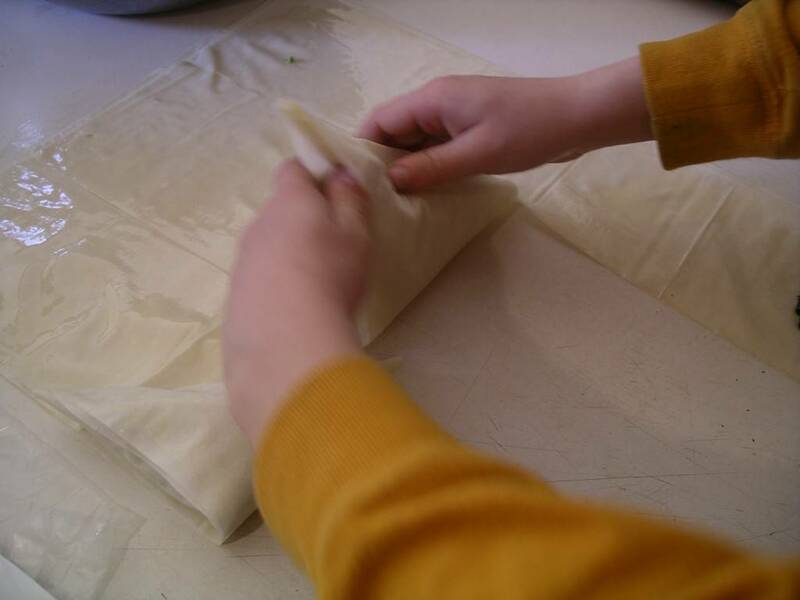 Place the rolled filo on the tray and brush the tops with butter. 13. Repeat steps 10-12 until all the filo is used up. 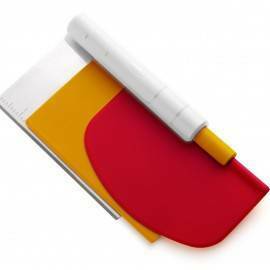 I often find there are one or two sheets left at the end, instead of three to make a last batch. 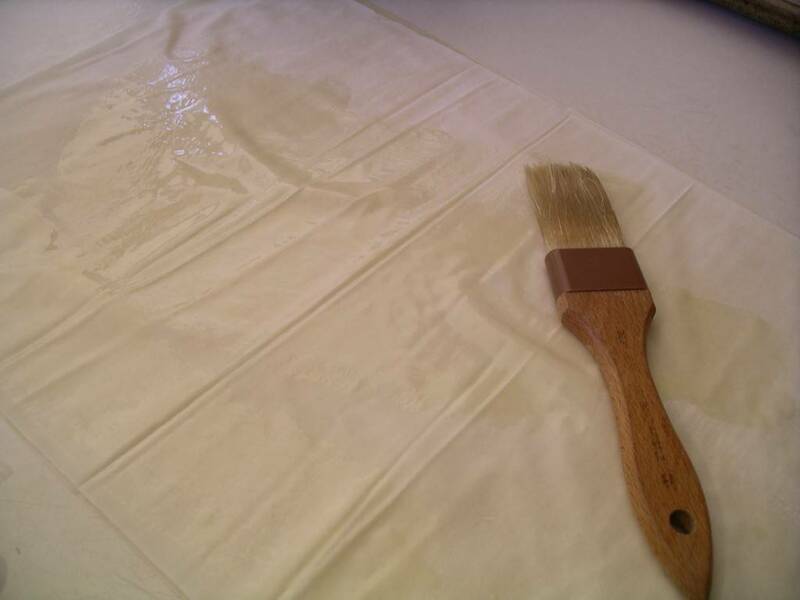 What I do in that case is brush the sheet with butter, fold it into thirds lengthwise, spoon some filling in and roll up one filo pastry. 14. 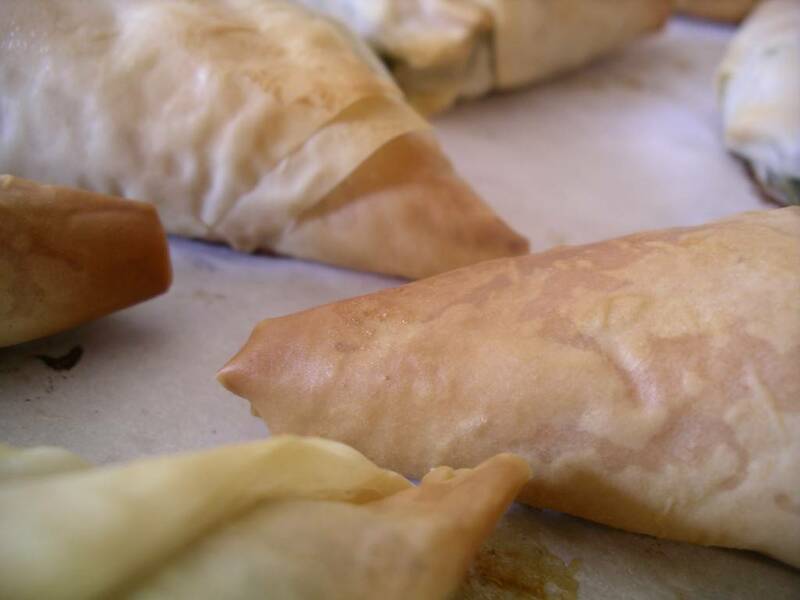 Place the filo in the oven and bake for 25 to 35 minutes, until golden brown. The trays must be rotated top to bottom and back to front halfway through cooking. Let filos cool on the tray or on a rack for several minutes before eating. Serve immediatey with tzatiki. I find that salad or steamed potatoes make a nice accompaniment. My wonderful boyfriend brought home a big bag of nettles that he harvested. 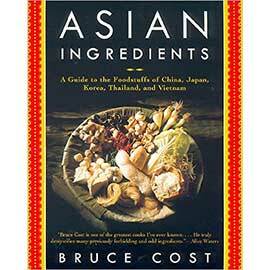 I wanted to diversify from the usual steamed nettles and dried nettles for tea, and came across your recipe. Oh my, are they delicious! I only managed to freeze a few because we devoured them. 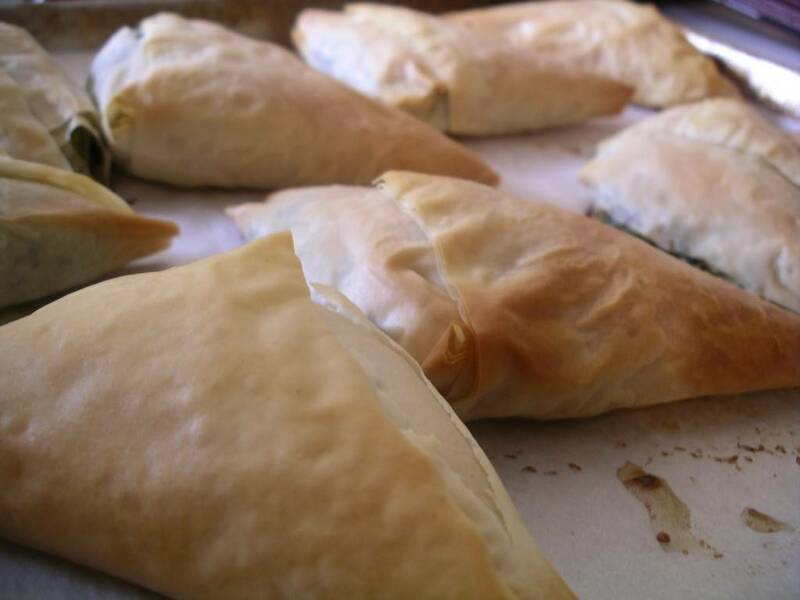 I used only nettles, no spinach, along with dill and sheep feta. Where do you buy sheep feta in Victoria?